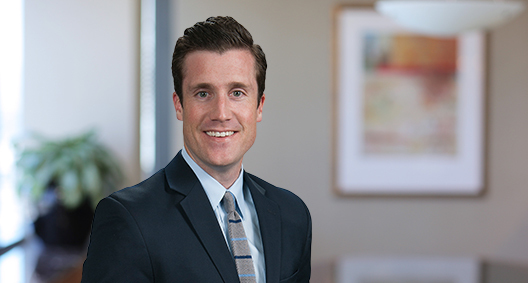 Matthew Pearson focuses his practice on complex and general commercial litigation, class action litigation defense, and privacy and data breach issues. Matthew has defended a number of class actions alleging unfair competition, violations of the Telephone Consumer Protection Act, violations of California’s Confidentiality of Medical Information Act, violations of California’s Labor Code, and others. Focused on his clients’ overall business needs, Matthew assists with all aspects of a situation, maintaining good relationships with all related parties and crafting creative solutions. Represented a major utility company in a wildland fire case involving hundreds of plaintiffs, including a multimillion-dollar business. Worked closely with attorneys from multiple teams, strategically attacked weaknesses in the plaintiffs' claims and postured the case for potential appeal to overturn California inverse condemnation law. Prepared case for mediation and trial, and obtained favorable resolution on the eve of the trial. Defended a telecommunication company in a putative class action. Through the use of targeted discovery and a good relationship with the opposing counsel, successfully leveraged defense strengths to reach a favorable resolution early in the litigation. Represented a U.S. aviation company in a products liability suit arising out of a plane crash. Handled all trial preparation and assisted with expert discovery after the co-defendants settled on the eve of the trial. Ultimately achieved a favorable resolution. Obtained summary judgment on behalf of a general contractor in an action involving breach of contract and other fraud-based claims. Successfully proved that the general contractor was not contractually obligated during contract negotiations. Represented a foreign technology company in a complex breach of contract dispute against a distributor and its owner, the client's former executive. Obtained dismissal on behalf of a client in a toxic tort case after grant of several motions-in-limine, which, in essence, defeated the plaintiffs' claim. Defended numerous product manufacturers in actions involving product liability and breach of warranty.